GT+T MAY BE SMALL, BUT EACH ONE OF US COMES WITH DECADES OF LEARNING, CRAFTING, AND SHARPENING OUR SKILLS AT SOME OF THE BEST AGENCIES, WORKING ON BRANDS BOTH BIG AND SMALL, ACROSS A WIDE RANGE OF CATEGORIES. VARIOUS PIECES OF WORK CREATED FOR VERIZON WIRELESS AT MCGARRYBOWEN, NYC. Pieces of a campaign that was created to launch a mobile device franchise called "Droid". At the time, there was no challenger to the iPhone. Every aspect of the marketing was conceived and executed by the agency team, including the names of the devices. The result was a formidable foe to give the iPhone a run for its money. What started as a campaign assignment for one phone, ultimately won the agency the entire $100 million verizon account. Various TV spots for the Branded Entertainment division of Verizon for their sports and entertainment partnerships with the NFL, NHL, IndyCar Racing, and Fox Studio. 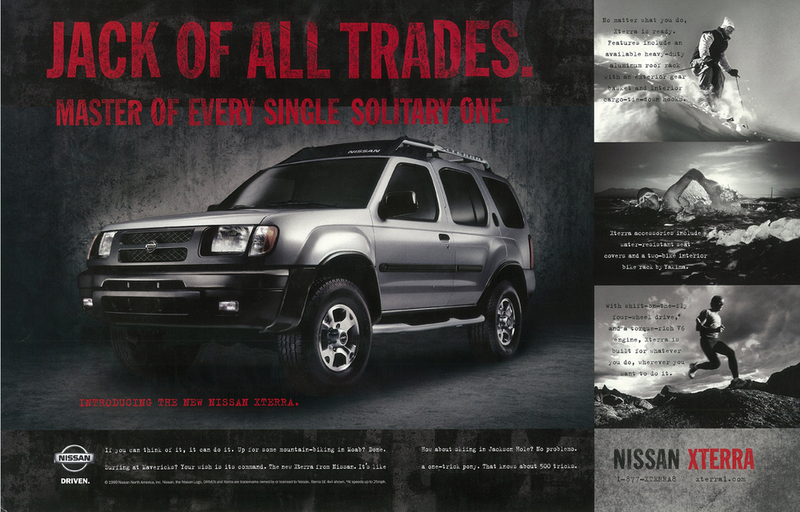 AWARD WINNING WORK CREATED FOR THE NISSAN XTERRA AT TBWA/CHIAT/DAY IN LOS ANGELES. The Xterra launch positioned the new type of SUV against the larger, more luxurious, more leathery versions that were dominating the roads. There were hardly any sport utility vehicles that were actually used for sports, or utility for that matter. 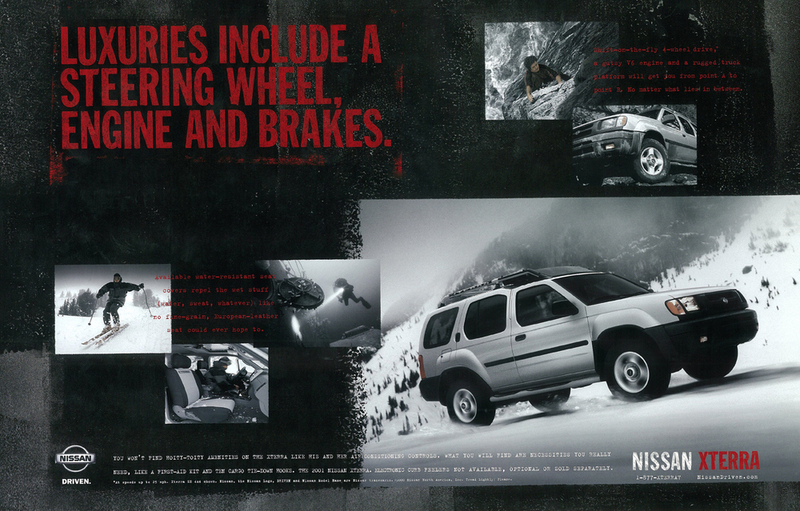 The Xterra changed all that, and created an entirely new category of vehicle, while the campaign created an entirely new genre of car advertising. The work was ultimately rewarded with many awards including the Grand Effie in 2001. AN IN-FLIGHT VIDEO CREATED FOR DELTA AIRLINES DEPICTS THAT HER BIGGEST COMPETITION IS HERSELF. The Delta client wanted to show their support for 5-time U.S. Open Champion, Serena Williams. This video, created at Wieden+Kennedy, NYC, was shown on flights flying into and leaving NYC. Serena eventually won the 2014 Women's Championship for her 6th Title. Did this video help? We like to think so. 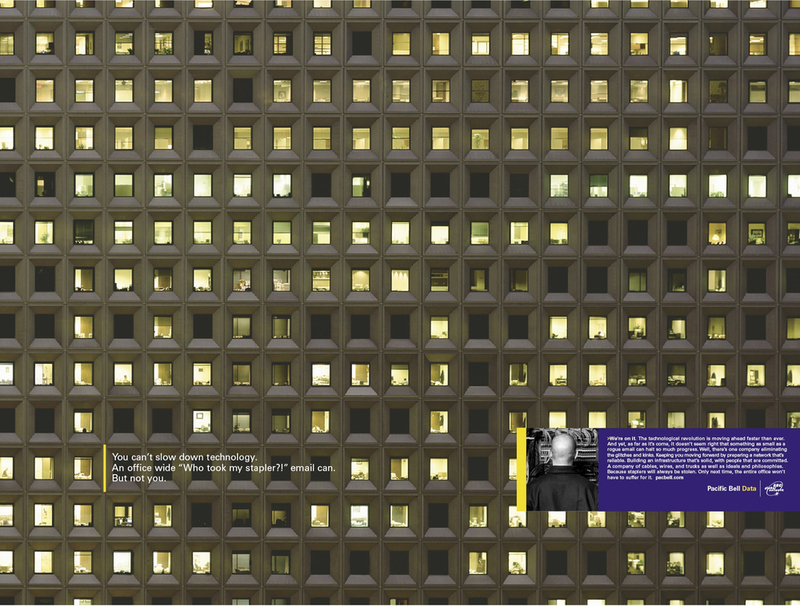 CAMPAIGN CREATED AT TBWA/CHIAT/DAY, LOS ANGELES SHOWS THAT KINKO'S IS MORE THAN JUST FOR COPIES. This campaign was created for a pitch that eventually won the $40 million account for the agency, and was produced without any changes to the concept. TV SPOTS CREATED FOR THE SOUTHERN CALIFORNIA MERCECES-BENZ DEALERS SHOWS HOW CARS ARE MORE THAN JUST CARS IN SOCAL. While at Merkley Newman + Partners, NYC, a campaign was created especially for the Dealers of Southern California to tap into the special relationship that people have with their cars in that part of the world. A RE-BRANDING CAMPAIGN CREATED AT GOODBY SILVERSTEIN & PARTNERS FOR A TELECOM COMPANY THAT BECAME PART OF AT&T. 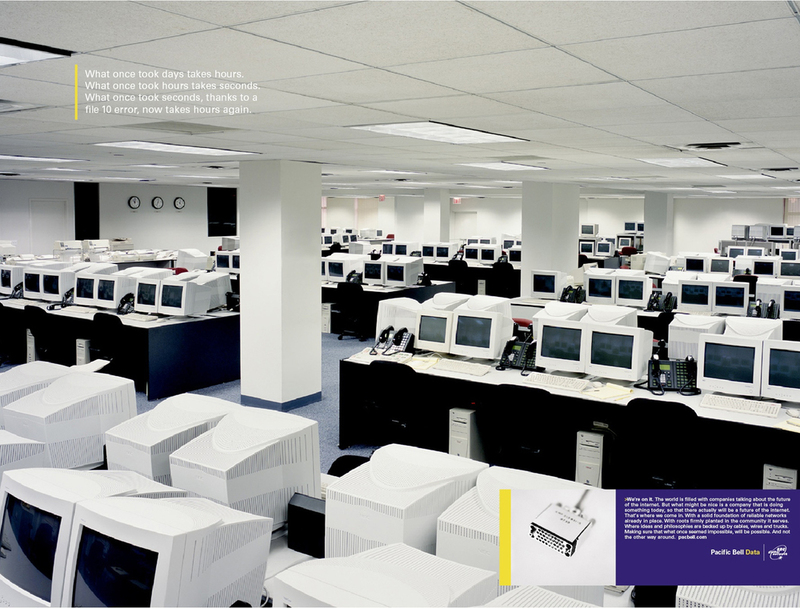 This humorous campaign took a look at the internet service landscape for home and businesses way back in the early 2000's. CAMPAIGN FOR THE CURIOUS MR. JENKINS CHARACTER FROM THE MID 90S.